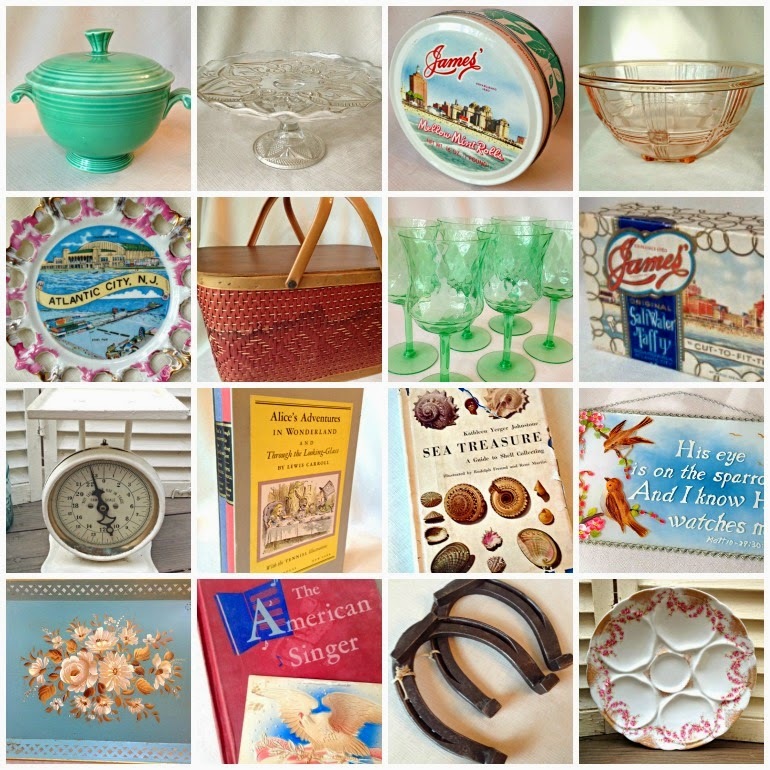 Bella Rosa Antiques: Summertime Treasures are Here! Boardwalk Souvenirs, Picnic Baskets, Glass Goblets and More! Summertime Treasures are Here! Boardwalk Souvenirs, Picnic Baskets, Glass Goblets and More! Summer is my most favorite time of year! for lots of summertime fun! Joining up with BLOG SHOP today, over at Beverly's page: How Sweet the Sound.